2017 Linglong Tire Youth Football Training Camp Opened in Thailand | Linglong Americas, Inc.
On July 18, 2017, Linglong Tire’s Youth Football Training Camp in Thailand, sponsored by Linglong International Tire (Thailand) Co.,Ltd. (hereafter refer to LLIT) and supported by Ratchaburi Mitr Phol FC (hereafter refer to RFC), was opened successfully in Chonburi, Thailand. More than 250 young players across Thailand gathered in this beautiful coastal city. The camp was a deep cooperation between LLIT and RFC since their first cooperation in 2016, with the aim of providing the youth from the age nine to sixteen across the country with professional football training guided by professional coaches from RFC, which could leave them a profound memory in their life. The related government leaders from Chonburi pointed in the opening ceremony that football was the most popular sport, part of teenage dreams, and the youth were the future of Thailand football. 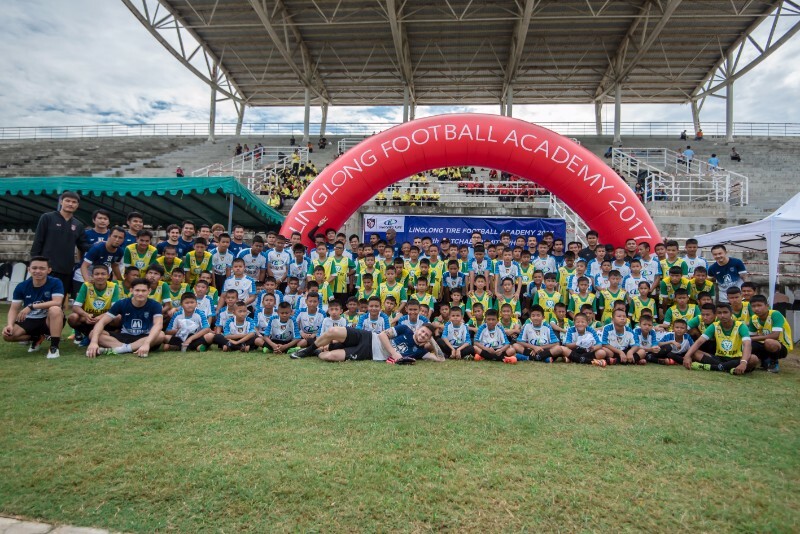 The 2017 Linglong Tire’s Youth Football Training Camp in Thailand was of positive significance to promote the popularity of youth football and improve the sustainable development of youth football. LLIT invited the members of the professional team from RFC to ensure the training of these young players, who not only learned professional skill training, but also exercised their ability of observation, communication and cooperation. Meanwhile, they had a adequate understanding of the passion and joy brought by football and became more determined to pursue their football dreams.